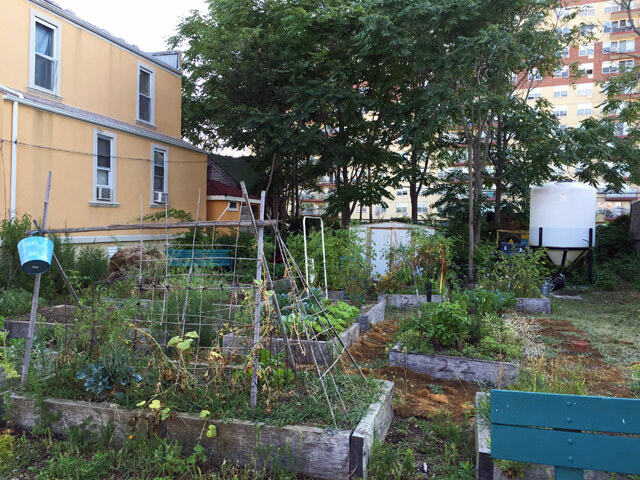 If I haven’t mentioned, I have a plot in the Beach 91st street community garden. It’s across the street from our house. 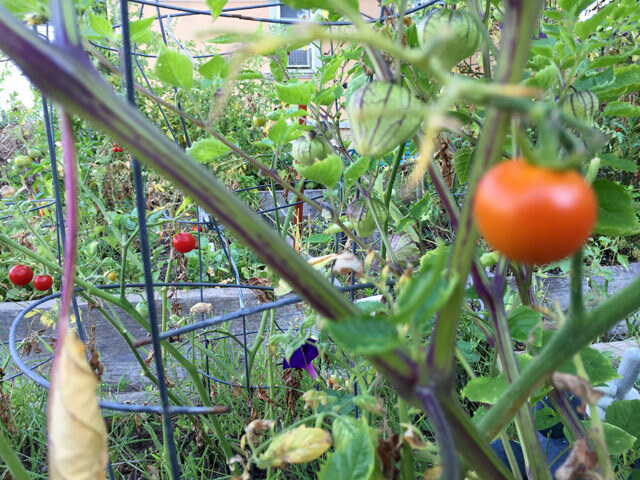 There’s been two potluck garden dinners so far, where members bring dishes with food they’ve grown from the garden. It’s been fun to meet everyone and talk shop over supper. 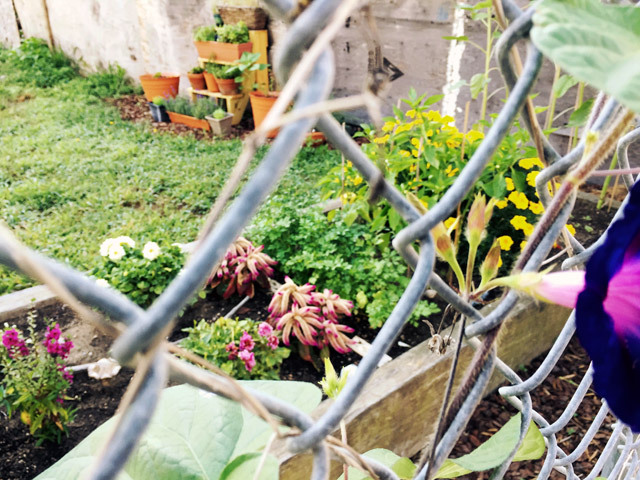 I’ve been meaning to take some photos of what’s growing and what’s going on behind the gates. We keep bees! 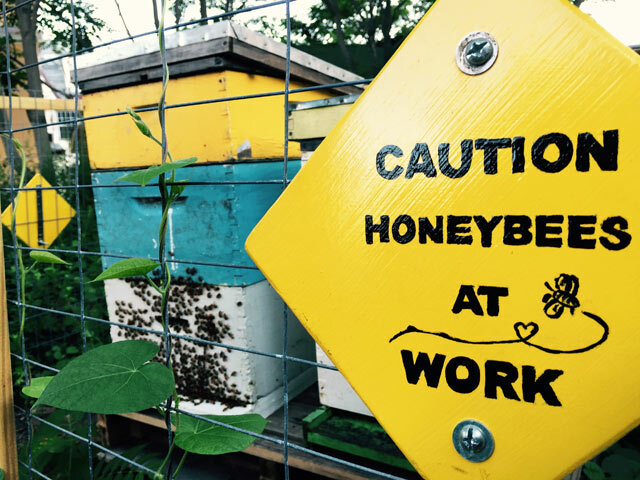 About a month and a half ago we adopted a bee hive from NYC beekeepers. I love seeing how everyone “decorates” their plots. Shells are big. 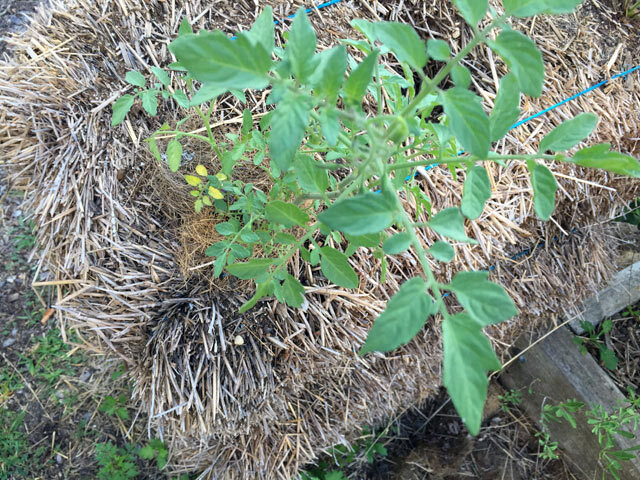 ..And a tomato plant growing out of a haystack, yee-haw! This is the back half of the garden. We have a water tower hooked up to a short hose to fill water cans up. If it hasn’t rained in a few weeks, Tim Hill (garden founder) brings out the fire hose which he hooks up to the hydrate the tank can be refilled. 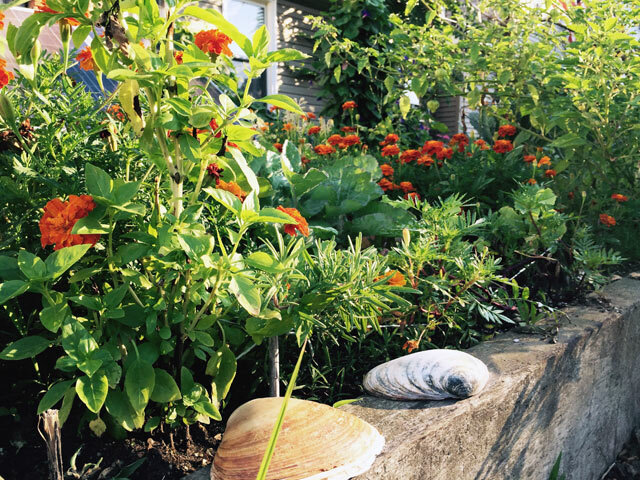 A great garden requires much watering. I’m hoping in the next year I can host events here, a fall festival or container painting party could be on the horizon!